As I write this, Social Media Day has been and gone in New Zealand, and it’s just progressing in other parts of the world. If you want to increase your digital marketing success, get your audience off your social channels. Yes, that’s right. Get your audience off your social channels and onto channels you own….like your website, email list and your remarketing pixels from your website. 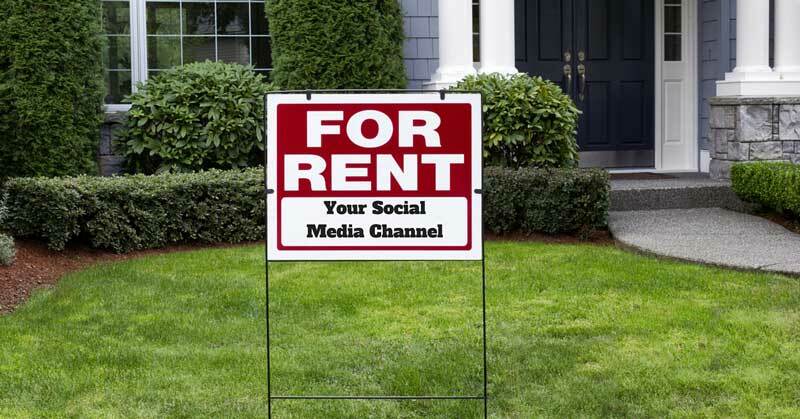 Building an audience on a platform you don’t own, is like building a house on land you rent. What happens when the landlord wants some of his land back? Just one day before Social Media Day, Facebook warned they were changing news feeds again, to the detriment of brands and businesses. Remember when everyone started to complain about the lack of organic reach? That’s what can happen with no warning for any social channel when they change the rules. Don’t take this the wrong way, social media is awesome and Hotel Magazine states that 75% of travellers still state that television shows and content on Facebook are the most common channels for travel inspiration, closely followed by Instagram (72%), Snapchat (65%! ), Twitter (63%) and Pinterest (60%). It’s great to get good organic reach or have a huge following, but you have to aim to get more out of your efforts and use this to your advantage. If you get your audience over to your own channels like a website, you can get them on an email list, get them to buy stuff, and get them on your remarketing lists and get way more out of your audience. Once you get the customer on your list, they’re your customer, not theirs. Think about an online travel agent (OTA) and someone booking through them. You don’t get their email address until they turn up at reception as they’re not your customer, they’re the OTA’s. Would you rather have all that customer’s details beforehand and own them so you can upsell to them and make them have a better experience? You’re better off with 1000 engaged and fans who adore you, than 100,000 who don’t really care. I was at a talk as part of Queenstown’s Social Media Day and it was really refreshing to hear Trey Ratcliff (who ironically kills it on several social channels!) say some words I keep saying… Likes, Fans and Followers are not real currency. They’re important, but you have to know where they fit into the big picture. Social Media Influencers can be a great extension of your brand and marketing, and get you in front of a huge audience, for probably a small amount of money but don’t get swayed just because they have 500,000 followers. If you use influencers, you’re leveraging their audience to get your brand in front of them, but it should be a considered part of your marketing mix. You could argue that’s not that much different to running a Google Display campaign, or your own social media campaign. With the latter you would have far greater access to detailed demographics, shopping intentions, lifestyle events and much more data on clickthroughs etc…and yes you could probably get a reach like that with a similar budget to what you’d pay an influencer. But again you can pixel your audience, and have more control over your customer. Is this an anti social media post? Not at all. I’m helping a few companies with social campaigns at the moment and I’m really excited about the demographics we can reach. I just want you to step back, and take a holistic approach to your digital marketing. If you’ve been to some of my talks you may have heard the Alex Langshur story. Alex is ‘just’ the co-founder of one of the biggest and most respected digital analytics firms in the world, Cardinal Path, and he was running some Google training I was invited to. His firm runs campaigns for the likes of Dell, Intel, Virgin etc. He asked us where Social Media fitted in on the path to purchase online. We were trying to think up smart answers in the pub on the Friday night so we could impress. We all got it wrong. In his experience he said “nowhere”. Now I know that’s not true for some brands, but this was his experience, but you have to realise generally social media is more like a branding campaign, or if executed well, a way to get customers into your sales funnel. Are the hours you spend on social media really paying off as well as a paid search campaign could? Is Social Media or Paid Advertising suitable for your business goals, and are there other things that are equally important? If you’re running paid advertising, is your website set up correctly to convert visitors, and track the returns of any campaigns you run? A rounded digital marketing approach…now that’s where you can be your own digital marketing influencer. If your social media was an employee and it wasn’t performing, would you still employ them or would you reassess your priorities? Do you know how much you are getting back from social media based on the hours you are putting in? Are you feeling peer pressure to be on social channels, or is it part a holistic marketing plan to get found in the moments that matter for your business goals? If you want help figuring out these questions, get in touch.